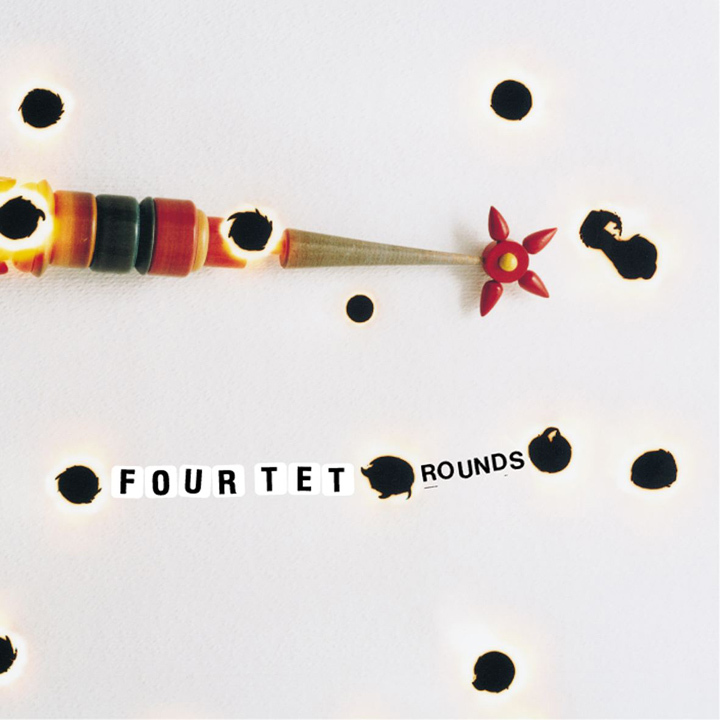 Domino Records will be reissuing Four Tet‘s influential third album, Rounds, in time for its tenth anniversary, on the 13th of May. The rerelease includes tracks from a live performance in Copenhagen, performed near the time of the original release. Marked by quality, the live tracks feature the innovative techniques that define Four Tet’s performance style, featuring live instrumentation braiding hip hop with jazz and grime. The composition of the album shines like a perfectly structured set of teeth, no cavities, no cheesy grills, no unpleasant surprises. Headed by Kieran Hebdan, Four Tet’s Rounds is a tightly coiled spring that sends electric waves throughout your nervous system. Each fast beat track is followed by a more pensive track, spiraling rhythms that cool down what’s heated up. Rounds chauffeurs the listener through a construction site of industrial ambient noise with pulsing beats complemented by a soft, childlike harmony – the symphony of a modern chain gang. As physically inspiring as it is mentally, the tracks have a knack for motivating dance and thought simultaneously, wrapping the listener into a spacious cocoon. Stand out tracks include: (1) “My Angel Rocks Back & Forth,” feels like climbing inside the head of a whimsical construction worker, and (2) “Spirit Fingers,” incorporates drilling sounds that produce a spun out effect. Rounds constructs a soundscape of clean neon in daylight with clinkings on a trash can, the brightness of a xylophone and hush tones of a spinning discus. This definitive collection of Four Tet’s work crosses and melds territory, restructuring the boundary lines of genre in a way that is hospitable to the listener. Ten years, it’s clear Four Tet laid the groundwork for this generation’s crop of grown up, experimental electronic music. Today the album feels like a solid, familiar rocking chair, prepared to lull you into a place of active contemplation.